J.Q. 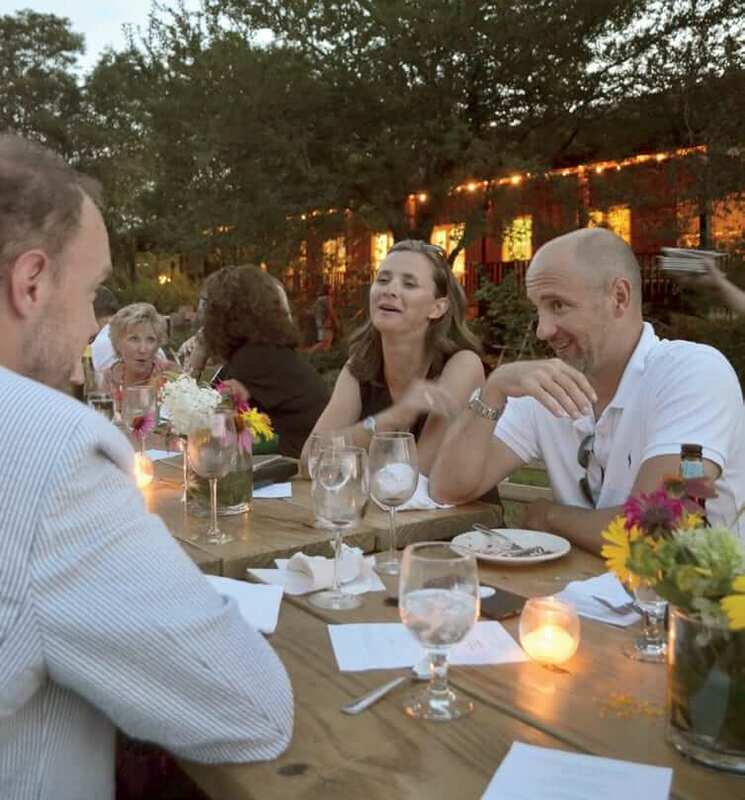 Dickinson Salt-Works’ dinner series highlights local ingredients and homegrown culinary talent. It’s safe to say the secret’s out. Since opening its doors in 2013, Malden’s J.Q. Dickinson Salt-Works has gained a reputation with both chefs and home cooks for its top-quality artisanal products, such as ramp salt, smoked salt, and nigari, a mineral-packed byproduct of the salt making process often used to make tofu. But J.Q. Dickinson wasn’t content with just seasoning other people’s foods—they wanted to make some of their own. 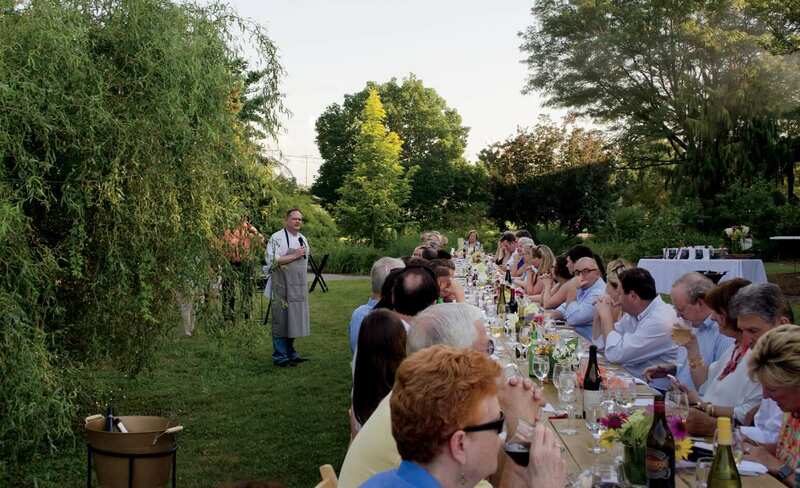 Last year, the company launched a series of farm-to-table dinners, bringing people together to celebrate the summer with delicious cuisine by local chefs. It wasn’t long before Celebration of the Seasons became one of the hottest tickets in the Charleston area. “By the third one, there was so much interest they sold out within 10 minutes,” says CEO Nancy Bruns. The company started the dinners as a way of promoting West Virginia-made products and Mountain State culinary expertise to create a unique experience centered around Appalachian flavors and influences. “I really like to promote the talent we have in the state. It was important to me as a former restaurant owner,” says Bruns. Chefs have full creative control over the menu, although J.Q. Dickinson does set parameters on which ingredients can be used, to ensure local ingredient sourcing. J.Q. Dickinson provides the salt and the kitchen, and the chefs do the rest. An event begins with an educational tour of the grounds. “We take groups of people on tours at the beginning of the dinner and teach them about our process and agriculture and sustainability,” Bruns says. After the tour, guests make their way to the outdoor dining space for an unforgettable culinary experience. Seated at a long, rustic wooden table with wildflower centerpieces and tealight candles, guests chatter amongst themselves, drinking the wine or beer they’ve brought along. 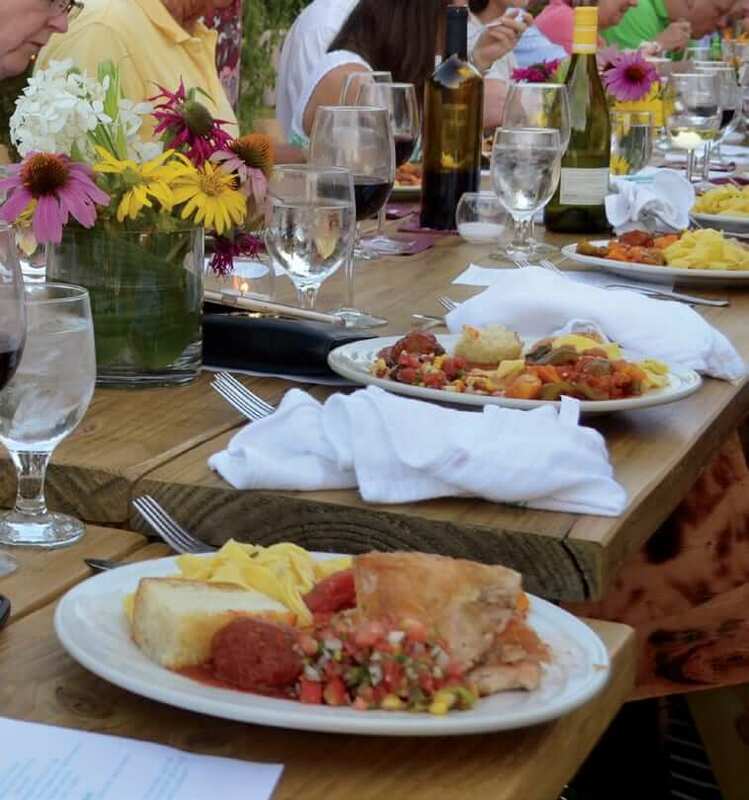 This community-style BYOB dinner encourages conversation—guests become acquainted with people they didn’t know before the dinner, almost always leaving with a few new friends. Bruns enjoys the conviviality, too. “It’s fun. You get to meet people you might not otherwise if you sat at a table for two or six,” says Bruns. “I try to go to all of them. They take you to Tuscany with these dinners,”says Anna Dailey, a regular guest and resident of Charleston. Dailey loves to take coworkers and friends from out of town. She regularly buys four tickets for dinners so she can introduce others to this homegrown supper club. After attending eight dinners, her favorite dish so far has been a salt-crusted salmon with roasted vegetables and marinated tomatoes and cucumbers, served with a lemon-caper aioli—prepared by Chef Noah Miller of Noah’s Eclectic Bistro in Charleston. The rolling fields in the background and the family feel only added to the experience.